The highly qualified, personable, and compassionate physical therapists, occupational therapists, and speech therapists at Performance Therapy will provide exceptional care for you and your family. From the time you make your appointment until you walk out the door, you will receive attentive service and individualized care from all of our health care professionals and staff. Our dedicated physical therapist (PT) and physical therapist assistant (PTA) teams help to increase efficiency and optimize patient care. Frequent consultation and review of patient care, by both the PT and the PTA, assures that all patients are receiving the best possible care. Performance Therapy proprietor Dan Young has decades of experience helping people from all walks of life regain their physical function and feel better. He purchased the first Performance Therapy clinic in 2004 and has since grown the business to multiple locations throughout central Mississippi. Performance Therapy clinics have success with even the most difficult cases that come to us as referrals from other health care professionals. Dan acknowledges that all of the therapists at Performance Therapy are selected for their creativity, flexibility, and persistence. Knowing when to think outside the box is why Performance Therapy has been so successful in delivering the best outcomes for our patients. Get directions to and more information about the Performance Therapy outpatient clinic in Canton, Mississippi. 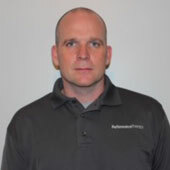 Adam M. Moore is a physical therapist who has been providing orthopedic and sports injury physical therapy in an outpatient setting since 2006. He spent five years working in the Jackson and Madison areas of Mississippi, then moved to Charleston, South Carolina, where he spent six years managing a large outpatient orthopedic clinic. 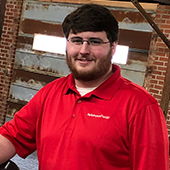 Adam has now returned to Mississippi and has been serving patients in the Canton area since 2017. Originally from Vaughan, Mississippi, Adam graduated from Mississippi State University in 2004 and earned his master’s in physical therapy from the University of Mississippi Medical Center in 2006. Adam has significant professional experience treating both postoperative and nonoperative orthopedic injuries. 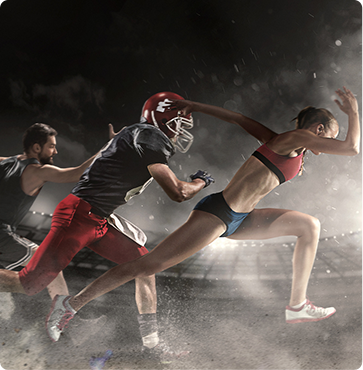 He is passionate about working with athletes of all ages and helping them return to their sport or activity of choice. Over the course of his career, he has worked with many different high school and college teams and provided sports performance training to college baseball and tennis teams. While in Charleston, he completed his certification in orthopedic manual therapy (OMT), which taught him techniques that complement more traditional therapies. These specialized mobilizations and manipulations have helped patients improve faster and completely recover in shorter time periods. Adam is happily married to Rebecca Moore, MD, and has two children: Lee Michael and Caroline. Brooks Turner, a licensed physical therapy assistant, joined the Performance Therapy family in 2019. A Natchez native, Brooks completed the PTA program and received her associate of science degree in applied science from Holmes Community College in 2018. She graduated from Ole Miss with a bachelor of science in exercise science in 2015. Brooks enjoys working in the outpatient clinics helping patients reach their full potential. According to Brooks, she loves long walks on the beach and pizza. Get directions to and more information about the Performance Therapy outpatient clinic in Carthage, Mississippi. 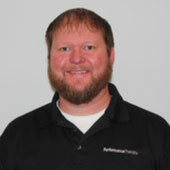 Michael Wilcher, PT, MPT, is the director of Performance Therapy’s Carthage clinic. He has been working as a physical therapist at Performance Therapy since 2006. 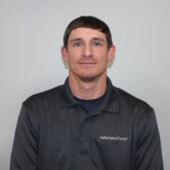 He received his bachelor of science in exercise science from the University of Southern Mississippi in 2002 and his master’s in physical therapy from the University of Mississippi Medical Center in 2006. Michael has experience in a variety of settings, including an outpatient orthopedic practice, hospital (acute care and long-term rehabilitation), extended care facilities, and home health care. Michael’s goal is to use an exercise-based approach along with manual therapy techniques to help patients return to their maximum potential. 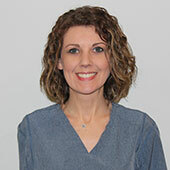 Celeste Akins joined the Performance Therapy family in Carthage in 2010 as a physical therapy technician. Originally from rom Philadelphia, Mississippi, Celeste graduated with an associate’s degree in medical science from Elizabeth Seton College. She graduated from East Central Community College in Decatur, Mississippi, in 2003 with an associate’s degree in applied science. She then earned her bachelor of science from Mississippi State University in 2007. 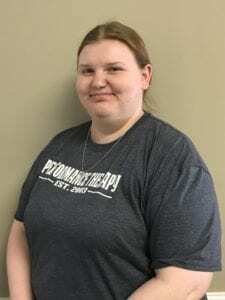 Amanda Carroll, a licensed physical therapist assistant, joined Performance Therapy in 2005, after graduating from the PTA program at Meridian Community College the same year. She completed a clinical rotation with Performance Therapy prior to graduation. Amanda has experience working with patients of all ages, delivering care to children, seniors, and everyone in between. She has experience in both inpatient and outpatient settings. 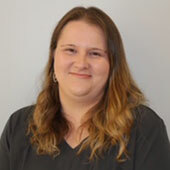 Amanda acts as director of inpatient therapy at Baptist Medical Center Leake in Carthage, Mississippi, where she works directly with patients who need rehabilitation after everything from joint replacement surgery to stroke. 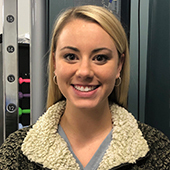 Alecia Freeny, a certified occupational therapy assistant, is employed by Performance Therapy and currently works within a hospital setting at Baptist Medical Center Leake in Carthage, Mississippi. Alecia is a former educator who decided to make a career change in 2008. Due to her life experiences, God impressed upon her to seek a career in rehabilitation, where she can help individuals get back to enjoying life at their fullest potential. Alecia received her degree in occupational therapy from Holmes Community College in Goodman, Mississippi in 2012. 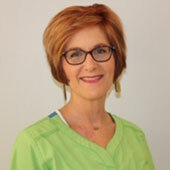 She has experience working in a variety of settings with patients of all ages. Ashley Musgrove, a licensed physical therapist assistant, joined the Performance Therapy team in Carthage in 2005. 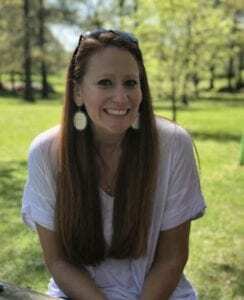 A Carthage native, Ashley completed the PTA program and received her associate’s degree in applied science from Meridian Community College in 2007. Ashley has delivered care in outpatient settings as well as hospitals and extended care facilities. She became a certified Kinesio taping practitioner (CKTP) in 2014. Erin Settlemir is a certified speech-language pathologist with a certificate of clinical competence (CCC-SLP). She is employed by Performance Therapy and works in both outpatient and inpatient facilities in Carthage, Mississippi. Erin earned her bachelor's degree in communication sciences from the University of Southern Mississippi in 2014. She received her master's degree in speech-language pathology from the Mississippi University for Women in 2016. 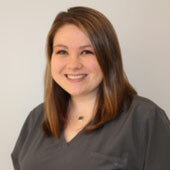 Erin has experience working with various age groups in multiple settings, including at the Baptist Medical Center Leake in Carthage, Mississippi. Rebecca Shields, a licensed physical therapist assistant, joined Performance Therapy in 2018. Originally from Kosciusko, Mississippi, Rebecca graduated from Mississippi State University in 2016 with a bachelor’s degree in kinesiology. She also received an associate’s degree in applied science while completing the PTA program in 2018 at Hinds Community College in Raymond, Mississippi. 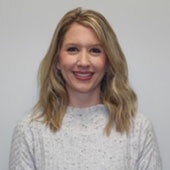 Stephanie Wilcher, a registered and licensed occupational therapist (OTR/L), works for Performance Therapy in outpatient and inpatient therapy facilities in Carthage, Mississippi. 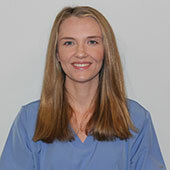 Stephanie received her bachelor of science in occupational therapy from the University of Mississippi Medical Center, followed by her master of science in occupational therapy in 2007. She then earned her board certification from the National Board for Certification in Occupational Therapy. She has worked for more than a decade in various settings in the OT field, including hospital, long-term care, low-vision, home health, and outpatient therapy facilities. Amisha Sudberry, a licensed physical therapist assistant, joined Performance Therapy in Philadelphia in 2016. By the end of high school, Amisha knew physical therapy was her calling after a family member’s experience with Guillain-Barre syndrome. She graduated from the PTA program at Meridian Community College in 2016 and gained experience at Performance Therapy during her clinical rotation. As a PTA at Performance Therapy, Amisha works with patients in both inpatient (hospital) and outpatient settings. Melissa Young has been working with Performance Therapy since 2004. She obtained a bachelor of science degree in occupational therapy from the University of Mississippi Medical Center in 1997. She is licensed by the State of Mississippi and certified by the National Board for Certification in Occupational Therapy. She has over 20 years of experience in a variety of settings including acute care, swing bed, outpatient, and pediatrics. Melissa is married to Dan Young and they have three children-Daniel, Reed, and Anna Morgan. Get directions to and more information about the Performance Therapy outpatient clinic in Magee, Mississippi. David Holbrook is a native of Magee, MS. He graduated from PT school at UMMC in 1997, having previously earned a Bachelor’s and Master’s Degree in Education from USM. He has been working as a PT in the Magee area for the past 21 years, and has experience in both orthopedic and sports rehabilitation. David has over 30 years of experience in coaching, and he also enjoys many different sports and outdoor activities. After graduating from Canton Academy, Donna attended Mississippi State University and then the University of Mississippi Medical Center where she graduated with a B. S. degree in Physical Therapy. She then worked for Mississippi Methodist Rehabilitation Center for 5 years where she got valuable experience with patients with stroke, brain and spinal injury, and other orthopedic and neurological conditions. After leaving MMRC, Donna worked for a year as a Manual Therapist in a TMJ Clinic where she received extensive continuing education and training in Myofascial Release and Manual Therapies for the head and neck. 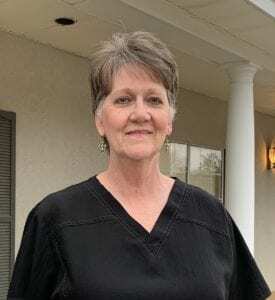 Having spent the majority of her 30 years of working in Magee, Mississippi, in the outpatient setting, Donna also has experience in acute care, swing bed, home health, and the school system. As the director of a busy rural outpatient therapy clinic for over 20 years now, Donna knows the value of offering a wide range of services with a team of knowledgeable therapist that are dedicated to quality care in a fun and loving environment. 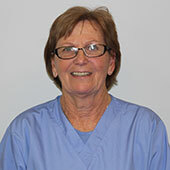 Donna loves treating a variety of patients and conditions ranging from newborn babies to the geriatric population. Donna’s hobbies include gardening, crochet, and playing with her grandchildren, Izzy and Emery. 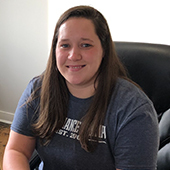 Cheyenne Barnard is a native of Seminary, MS. She graduated from the PTA program at PRCC in 2008, having previously earned a Bachelor’s degree from USM with an emphasis on Vocational Rehabilitation. She has been working in the Magee, Ms area since 2008 with Donna Martin, David Holbrook, and Donna Williamson. She has experience in both outpatient and swing bed settings, and she recently completed a course for additional training in the application of therapeutic cupping. Her interests include enjoying the outdoors and traveling. 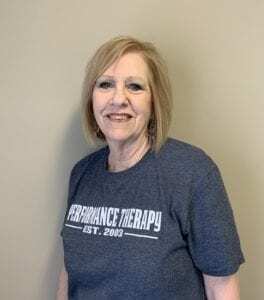 Donna Williamson joined the Performance Therapy family in April 2019 as a Physical Therapy Technician. Although she grew up in Shaw, MS, Donna has lived in Magee since 1978. She has served the community as a PT Tech for 28 years. 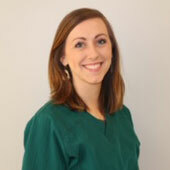 She excels at creating a family environment in the clinic and makes every patient feel at home. Donna is known for her world famous home made brownies. Dory Craft, PTA joined Performance Therapy in April 2019. Dory graduated from Meridian Community College’s Physical Therapist Assistant Program in 2006. Dory has worked in hospital and nursing home settings, but for the past 10 years has worked in an outpatient setting. Dory especially loves working with geriatric patients. Dory grew up in Magee, MS, but now lives in Seminary, MS, with her husband and two daughters. She loves running, biking, and hanging out with friends and family. Get directions to and more information about the Performance Therapy outpatient clinic in Florence, Mississippi. 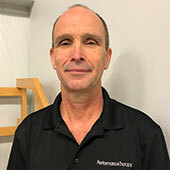 Scott Huffman, PT, joined Performance Therapy in Florence in 2018. His interests include orthopedics and sports medicine. A native of Pelahatchie, Scott graduated from the University of Mississippi Medical Center in 1997, earning his bachelor of science in physical therapy. He has over 20 years of experience in the delivery and management of physical therapy in a variety of diverse settings. Get directions to and more information about the Performance Therapy outpatient clinic in Gluckstadt, Mississippi. In addition to providing physical therapy in our Gluckstadt clinic, Wayne Jimenez, PT, MS, also serves as director of the clinic. Wayne has 40 years of experience providing outpatient orthopedic and sports medicine physical therapy care. He received his bachelor of science in physical therapy from Louisiana State University Medical Center in 1979 and his master of science in physical therapy from the University of Alabama at Birmingham in 1982. After earning his master’s degree, Wayne moved to Mississippi, where he has since served the Jackson community. Wayne has significant experience helping individuals return to work after an injury. His expertise includes performing functional capacity evaluations (FCEs), work conditioning programs, and pre-employment screenings. Over the course of his career, Wayne has worked with several collegiate sports programs as well as professional and high school teams in the Jackson and Madison areas of Mississippi. As an avid runner and triathlete, Wayne often treats members of the local running community. Get directions to and more information about the Performance Therapy outpatient clinic in Pelahatchie, Mississippi. 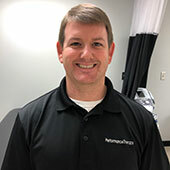 Spencer Shoemaker, PT, DPT is the clinical director of Performance Therapy in Pelahatchie, Mississippi. Originally from Brandon, Mississippi, Spencer attended East Rankin Academy. He received his bachelor of science in kinesiology with an emphasis in prephysical therapy from Mississippi College in Clinton, Mississippi, and his doctorate of physical therapy from the University of Mississippi Medical Center in Jackson. Prior to joining the Performance Therapy family, Spencer was a therapist in Brandon. He is very excited to be back in Pelahatchie, where he spent his precollege school years, where he will be able to serve the great people of this area. Get directions to and more information about the Performance Therapy outpatient clinic in Philadelphia, Mississippi. Dan Young, PT, is the owner of Performance Therapy. He also serves as director of the Philadelphia, Mississippi, clinic. 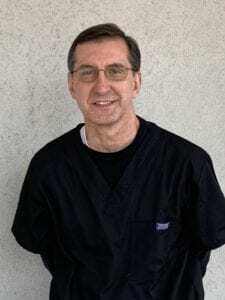 Dan received his associate’s degree from East Central Community College in Decatur in 1995 and his bachelor of science in physical therapy from the University of Mississippi Medical Center in Jackson in 1997. 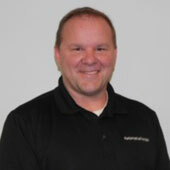 Dan has more than 20 years of physical therapy experience providing outpatient care in the central Mississippi region. He is especially passionate about returning athletes to competition. Sarah Dudley joined the Performance Therapy staff in Philadelphia as a physical therapy technician in 2017. A native of Scooba, Mississippi, Sarah graduated from Mississippi State University in 2015 earning her bachelor of science in kinesiology. She then worked for Anderson's Health and Fitness Center in Meridian, Mississippi, as a group fitness instructor and a personal trainer having earned her ACSM personal training certification in 2017. 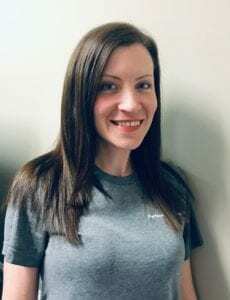 Alana Pilgrim, a licensed physical therapist assistant, joined Performance Therapy in 2008, the same year she completed the PTA program and received her bachelor of applied science from Meridian Community College. Alana is a native of Philadelphia, Mississippi. Get directions to and more information about the Performance Therapy outpatient clinic in Sebastopol, Mississippi. B.J. Norton, a licensed physical therapist assistant, first joined Performance Therapy in 2006, the same year he received his associate’s degree in applied science from Meridian Community College. B.J. has helped to provide quality therapeutic care to patients in the Choctaw, DeKalb, and Sebastopol communities. He has experience in various outpatient and inpatient settings, in addition to his work alongside his Performance Therapy peers. B.J. works at the Performance Therapy clinics in DeKalb and Sebastopol. 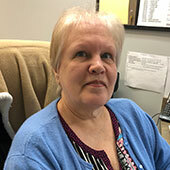 Kathy Allen is the office manager at our Carthage clinic. She joined Performance Therapy in 2017. Kathy is from Ludlow, Mississippi, and graduated from East Central Community College with a bachelor of applied science in 1989. Kathy has held a variety of jobs working with the public on a professional basis. Angie Fry is an office Manager and public relations administrator at our Philadelphia clinic. She joined the Performance Therapy team in 2004. 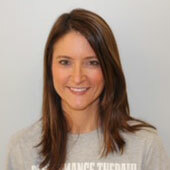 Angie began working at Performance Therapy as a PT tech, before taking on the role of an administrator in 2010. A native of Philadelphia, Mississippi, Angie and her husband of 20+ years, Josh, have a daughter, Annabelle. 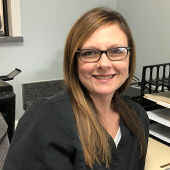 Courtney Rhodes is the office manager at our Pelahatchie clinic. She joined the Performance Therapy family in 2019. Courtney is a resident of Pelahatchie and a 2008 graduate of Puckett High School. 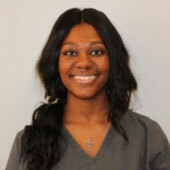 She previously worked in the office and as a physical therapy technician at other physical therapy clinics in the Jackson, Mississippi, metropolitan area. She is excited to begin this new journey back in the heart of downtown Pelahatchie, where she grew up. Salenthia Scott is the office manager at our Canton clinic. She joined Performance Therapy in 2018. Originally from Sandhill, Mississippi, Salenthia has two adult sons and has been caring for her mother for the past several years. She enjoys her job at Performance Therapy, where she works with a great group of therapists who sincerely care about helping patients heal. 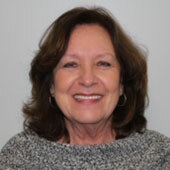 Deborah Young is the office manager at our Sebastopol clinic. She joined Performance Therapy in 2005. Deborah is from Carthage, Mississippi, and has been married nearly 50 years. She has a daughter and son and has been blessed as a grandmother to five precious grandchildren. She is an active member of Emmanuel Baptist Church and enjoys teaching the ladies’ Sunday school class. 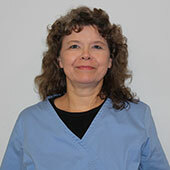 Vicki Glenn is the office manager of our clinic in Magee, Mississippi. She joined Performance Therapy in March 2019. She is from Taylorsville, Mississippi, and has two daughters, Taylor and Kollins. Vicki has over 10 years of experience in customer service and medical billing. She believes that patients should feel like family every time they walk through our door. Brandi Allen is the office assistant at our Magee clinic. 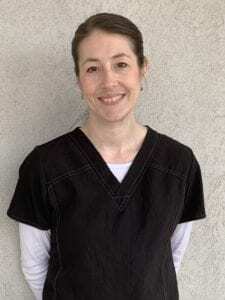 She has been working for Performance Therapy since April 1, 2019, and she has worked in the medical field since October 24, 2018. She graduated from Copiah-Lincoln Community College with a degree in Business Office Technology and an Associate of Applied Science. 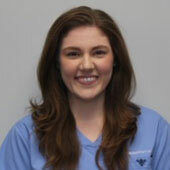 She enjoys working with her Magee team and loves to make patient’s feel at home at our clinic. Schedule your appointment with one of our highly qualified physical therapists, occupational therapists, or speech therapists by calling Performance Therapy at (601) 650-0002 or use our online form.